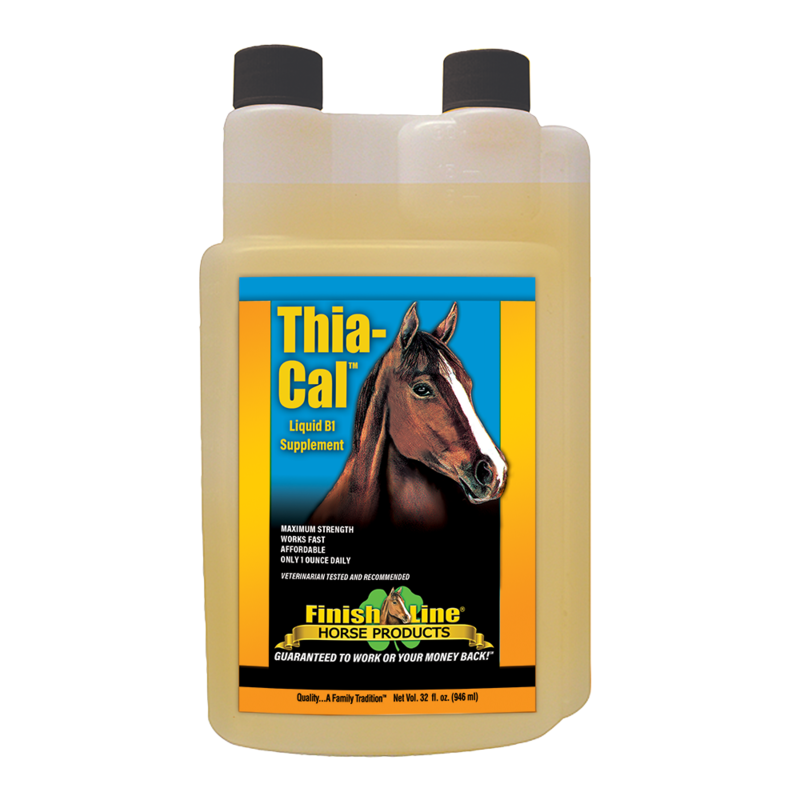 Thia-Cal™ promotes healthy nerves in your horse in a daily feed supplement. Available in liquid or powder forms. This is a potent Thiamine and Magnesium supplement balanced with Calcium. No tryptophan, no valerian root, and no kava kava are found in this product. 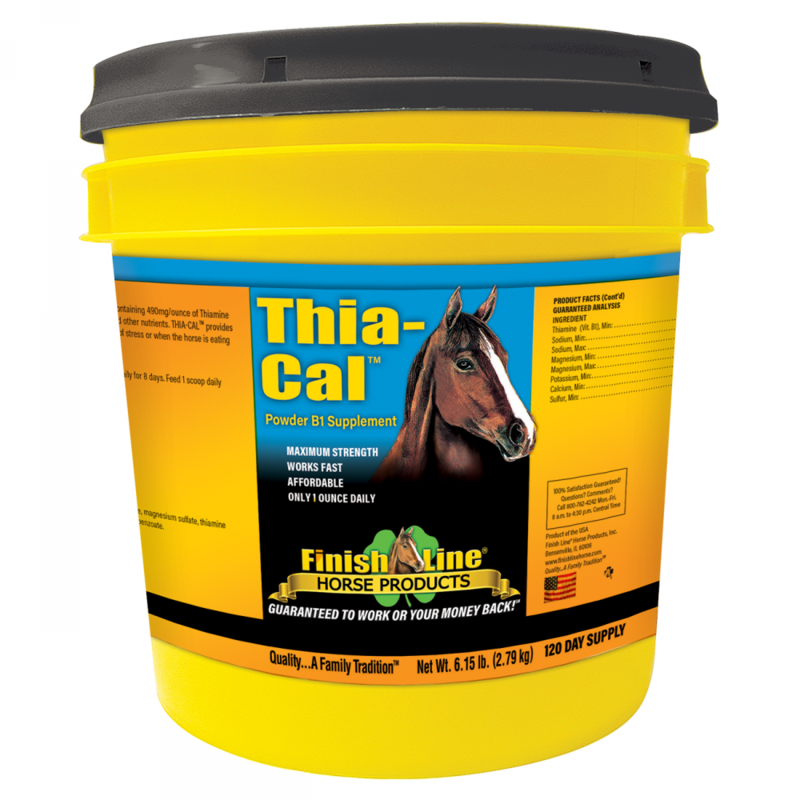 Thia-Cal™ helps conserve energy while calming and settling your horse. 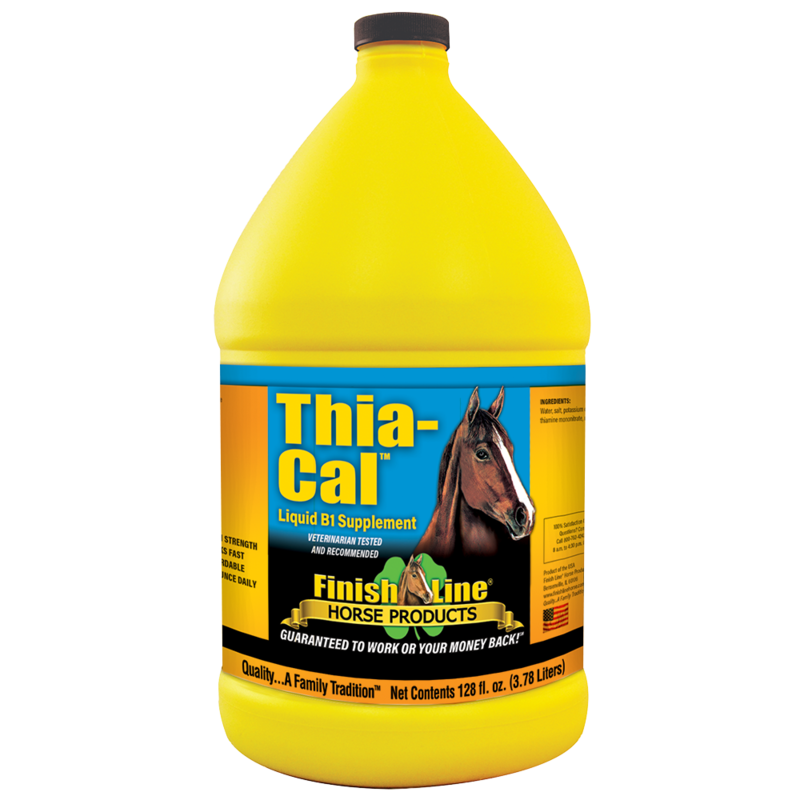 This product will not make horses “dopey,” dull or pull from your horse’s performance. 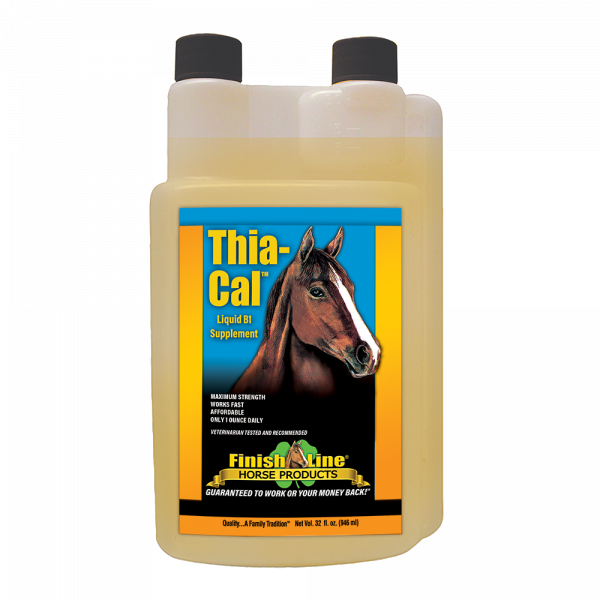 I have not had the need to use this product, but watched it do an AMAZING transformation on a horse that went from being part of a herd to having to live in a solitary situation. He as “crazy” and constantly fretting (not always whinnying, but pacing and anxious). I recommended Thia-Cal to my friend and the change in Tucker was very noticeable within four days. She has had him on it ever sense since by nature he is a fear based, nervous horse. They are doing beautifully together now and Tucker seems happy and content with his horse/human herd. It is good to know that it is available if I would ever need it. I have recommended this product to several other people as well.